Malmaison is opening a property in Dundee on the site of the old Tay Hotel, part of the ongoing Dundee Central Waterfront development. The 91-room property is expected to be completed in May 2013 and will be the thirteenth property in the Malmaison Group. 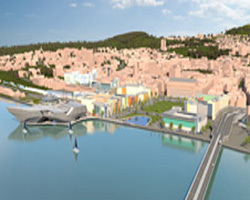 The hotel will be located in close to the V&A at Dundee. The museum is set to open in 2015, providing a new event space for the city on the waterfront.